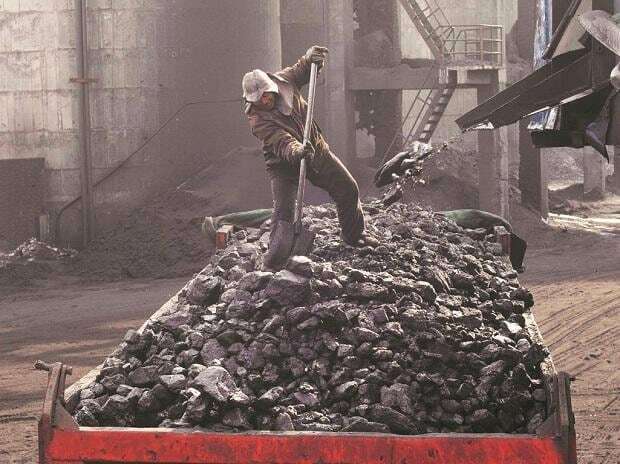 With a bigger focus on the power sector, Coal India (CIL) supplied 440.80 million tonne (mt) coal to power plants between April and February this financial year — a 7.1 per cent increase over the same period a year ago. This helped bring down the number of critically coal-starved power stations from nine in December 2018 to four at the end of February this year. According to a company official, the coal offtake to the power sector increased by 29.3 mt during the eleven months. This, in turn, helped improve the coal stock situation at the generating units. CIL sold 411.5 mt coal to the power sector during the April-February period last year. The increased dispatches to the power sector were backed by higher rake loading this year. On an average, the Maharatna company loaded 206.2 rakes a day to the power sector against 198.7 rakes in the same period year ago, thereby registering a 3.8 per cent growth rate. At the end of October last year, 28 generating stations in the country faced severe shortage of the fossil fuel despite Coal India increasing its production to 306.24 mt and dispatches to 340.81 mt which led the company to post a 10.1 per cent and 7.4 per cent rise in production and sales, respectively. At the end of that month, India imported 133.13 mt coal to meet the additional demand, while it is estimated by sector experts that imports till January this year stood at around 190 mt. By end of December 2018, the number of power stations facing critical coal shortage had dipped to nine which was also because of lower seasonal demand. While the Maharatna company vied to improve the coal stock situation at the power plants it had risked its own coal inventory falling to sub-25 mt levels during December last year. “The situation has improved now and currently we have 34.76 mt of pithead stocks with us,” a company official said. The world’s largest coal miner usually maintains stocks at 30 mt level to address any exigencies which might rise at any point of time. Stocks lower than this level may result in Coal India not being able to address a critical situation at a rapid pace. 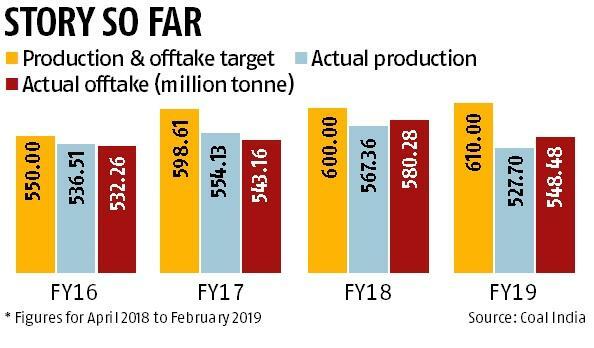 The total production, at the end of February, stood at 527.70 mt which resulted in clocking a 6.6 per cent growth rate while total dispatches stood at 548.48 mt — a 4.5 per cent growth on a year-on-year basis. “At the end of February, we have been able to achieve 99 per cent and 99.5 per cent of our MoU production and sales targets, respectively, which is 610 mt,” the official said. The MoU (Memorandum of Understanding) is a negotiated agreement and contract between government and its companies. However, Coal India had set for itself an optimistic target of 652 mt in the current fiscal year.